A bid for more than £440 million worth of funding for the region has been submitted to Government. A range of shovel-ready projects and wider schemes made up the proposals in the Greater Birmingham & Solihull Local Enteprise Partnership&apos;s Strategic Economic Plan (SEP), promising jobs and a boost to the region’s economy. The 51 priority projects outlined in the SEP are worth a total of £440 million over five years and the GBSLEP is asking for £86.3 million for 2015/16. These projects are forecast to create 41,000 new jobs by 2022, provide 14,315 new homes and almost 2m sq ft of commercial floorspace across the LEP area which covers Birmingham, Solihull, Wyre Forest, Redditch, Tamworth, Bromsgrove, East Staffordshire, Lichfield and Cannock Chase. Included in the ambitious bid – which will be considered by Ministers and form the basis for a Growth Deal set to be agreed in summer – are a number of schemes that will help Greater Birmingham to prepare for the arrival of HS2. This includes the development of new stations at Birmingham Curzon and the Interchange and there is a package of transport measures to help the wider area access the new service. The GBSLEP is also looking to set up a Growth Hub which would provide more than 15,000 businesses a year with access to a variety of support programmes. Also included are projects for specific growth sectors in the LEP. These include an Advanced Manufacturing Hub in partnership with the Coventry & Warwickshire and Black Country LEPs and a Life Sciences Campus at Selly Oak. And there are a host of shovel-ready projects across the wider LEP area to unlock sites for jobs and housing. 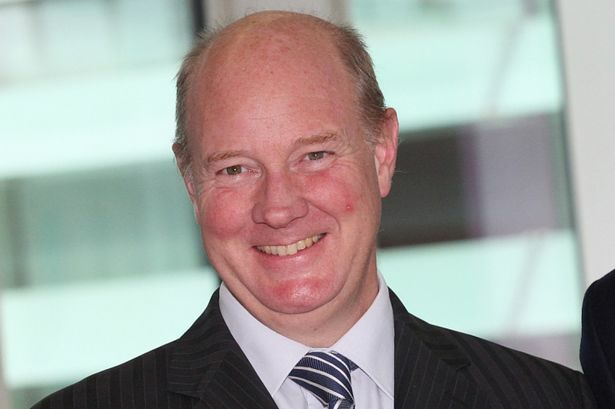 Steve Hollis, GBSLEP deputy chairman, said: “Our Strategic Economic Plan looks to the future, setting out a bold plan that addresses the challenges and opportunities unique to our area. “We know there is a strong consensus about the action that we need to take and we also know that Greater Birmingham is well positioned to deliver growth. “This submission really presses our case to Government – it is built on co-operation and an agreed strategy, underpinned by close collaboration between the public and private sectors. “The GBSLEP has already proven itself able to deliver – take for example the Birmingham City Centre Enterprise Zone which is on course to have created 2,500 jobs by the end of this year, or the Advanced Manufacturing Supply Chain programme which has created and safeguarded over 1,000 jobs nationally. “Now, we are asking for the opportunity to do more, to have more influence over the resources locally. “We are the only LEP that will have two stations in the first phase of HS2 and we are committed to maximising the investment being made by Government, providing additional jobs and growth on top of their forecast figures.